I punched a piece of very vanilla with the dotted scallop punch, then scrunched up the paper until I could peel it into two pieces (faux suede technique). I layed down some sticky strip and attached the faux suede pieces in a ruffle shape. I highlighted the ruffles with the tea dye ink. The ribbon was tied to hide the edge of the ruffle. 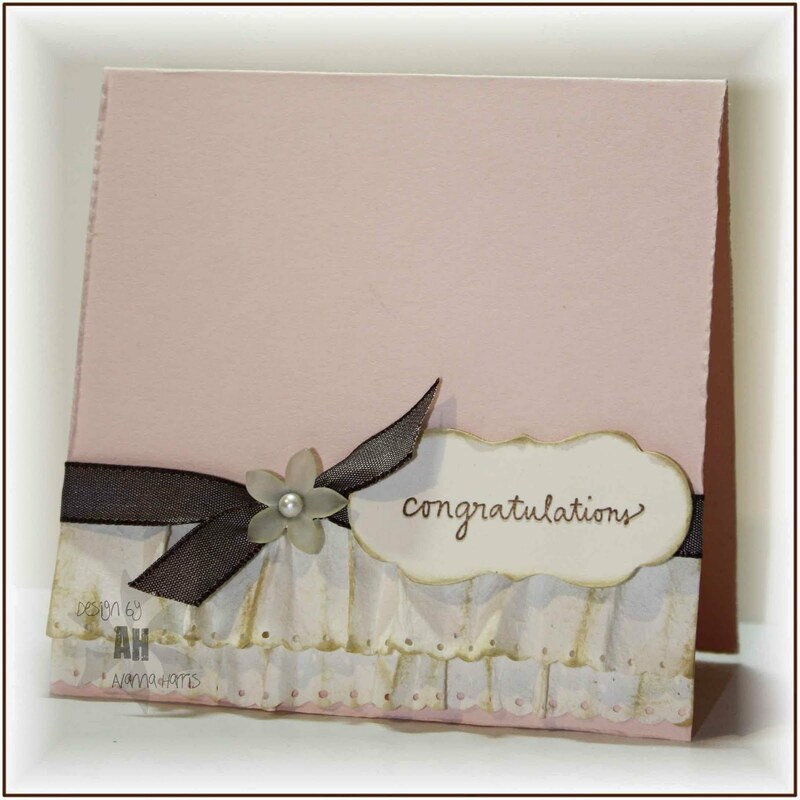 I just love this label die shape and it seemed perfect for a shabby chic card. The font on this sentiment also seemed shabby chic-ish. I finished the card off with a gorgeous flower embellishment that I have been hoarding. Everything on this card got distressed both on the edges (I just used my fingernail) and with the tea dye ink. 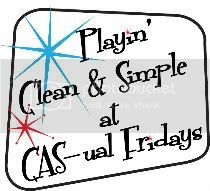 Hope you like it...and hope you can play along this week! I love it, too. So clean & simple, so complete, so beautiful. Your kitty looks just like one of mine!